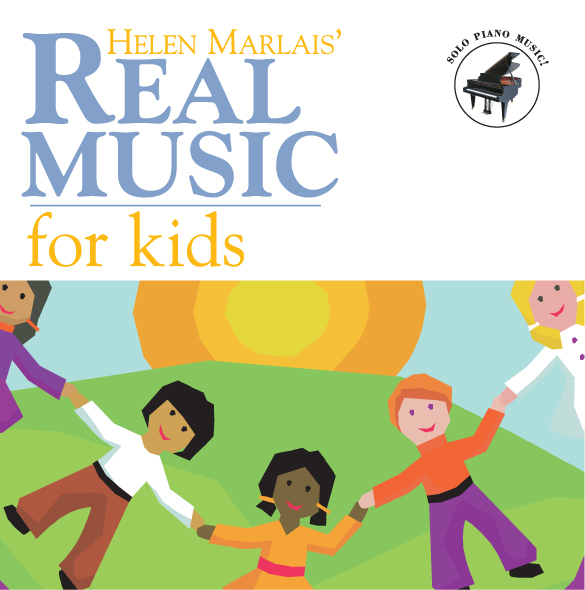 The FJH Music Company and Stargrass Records is pleased to present Helen Marlais' Real Music for Kids, an outstanding new compilation CD that offers children an opportunity to experience classical music in their everyday activities. The pieces were carefully chosen to suit a young child's "level of listening." 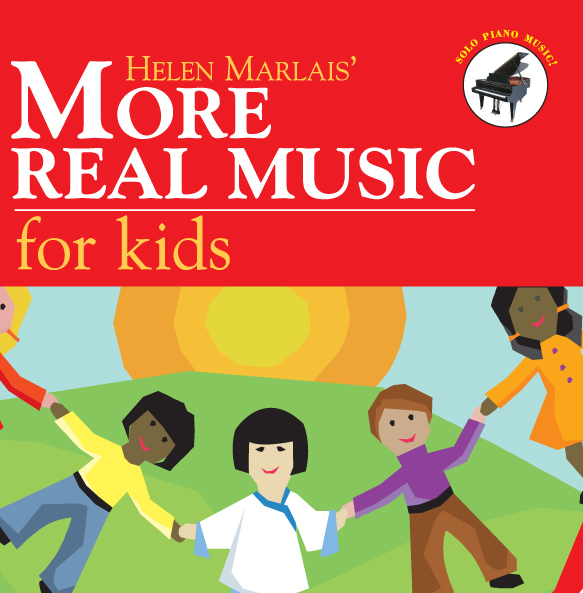 Dr. Helen Marlais, classical pianist and prolific educational author, has devoted her pedagogical career to bringing great music to young ears. This CD includes pieces from some of Dr. Marlais' celebrated publications, Succeeding with the Masters® Volume One, (Baroque, Classical, and Romantic eras), and The Festival Collection®, Books 1- 4. 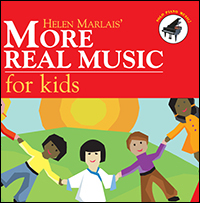 The FJH Music Company and Stargrass Records is pleased to present Helen Marlais' More Real Music for Kids, the second in a series of outstanding new compilation CDs that offer children an opportunity to experience classical music in their everyday activities. The pieces were carefully chosen to suit a young child's "level of listening." 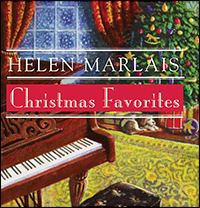 Dr. Helen Marlais, classical pianist and prolific educational author, has devoted her pedagogical career to bringing great music to young ears. Whether listening at home, in the car, doing homework, or playing, these CDs provide the perfect backdrop for children to become acquainted with music that has stood the test of time! The music included in these two CDs will help to ignite an appreciation of classical music that could bring years of enriching listening. It is with the joy of the season that the FJH Music Company brings to you this beautiful CD of favorite Christmas carols! Carefully selected from the six In Recital® with Christmas Favorites books, the pieces on the CD make a wonderful holiday gift! The piano arrangements of these timeless carols are a perfect way to add some tasteful piano music to your holiday events and the CD will be a hit as a personal touch stocking stuffer. It is with great pleasure that The FJH Music Company introduces a new Helen Marlais CD. 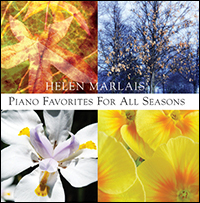 Helen Marlais Piano Favorites For All Seasons is an enchanting collection featuring piano solos and duets, thoughtfully chosen from the renowned piano series In Recital® Throughout the Year. Piano Favorites for All Seasons is a perfect gift at anytime of the year, or as a delightful accompaniment to help set the mood at special events, holidays, and for your everyday listening pleasure. 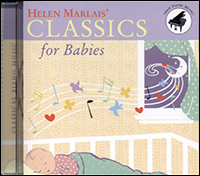 The FJH Music Company announces the arrival of Helen Marlais Classics for Babies, a soothing introduction to classical music for the youngest ears. These timeless pieces are perfect to help comfort and subdue babies at bedtime and are ideal background music selections for mealtime, bath time, playtime, or quality time spent with the family. This CD also provides an excellent way to comfort babies during car rides! 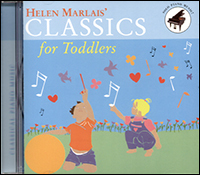 Helen Marlais Classics for Toddlers is a collection of 30 specially chosen piano classics that takes toddlers on a wonderful journey of discovery. These pieces will stimulate and ignite a toddlers imagination as they begin to explore new and exciting aspects of their world. Perfect for playtime, mealtime, or in the car, parents and caregivers will find this CD a great accompaniment to the active toddler lifestyle! 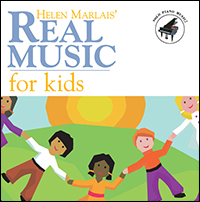 Helen Marlais Classics for Preschoolers is an introduction to the great art of classical music for the youngest students. 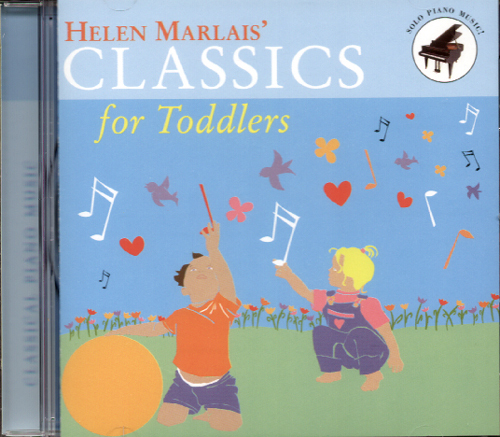 This CD features selections from the great masters of classical music and is perfect for all children to listen to during playtime, quiet time, or while doing homework. It is a fun, exciting, and entertaining compilation for any blossoming student to enjoy!